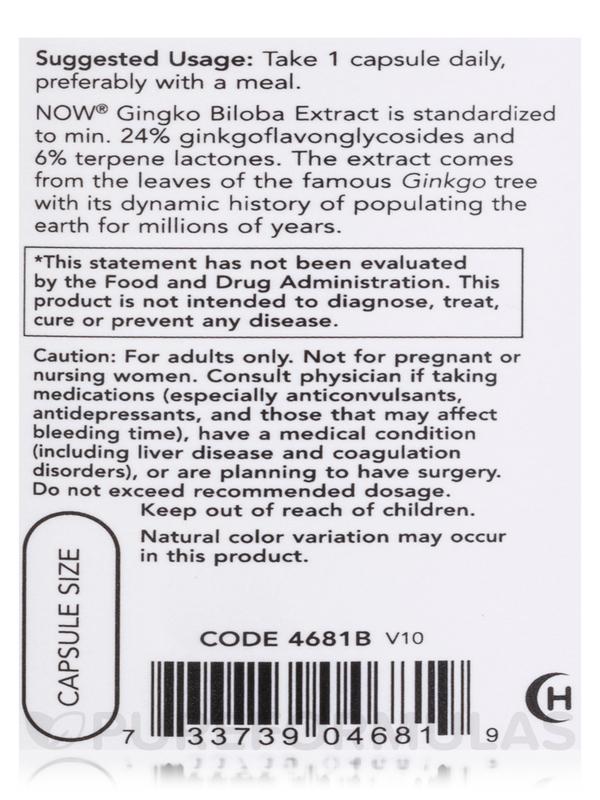 I was glad to find this Ginkgo Biloba by NOW in a large amount of ginkgo in one easy-to-take capsule. 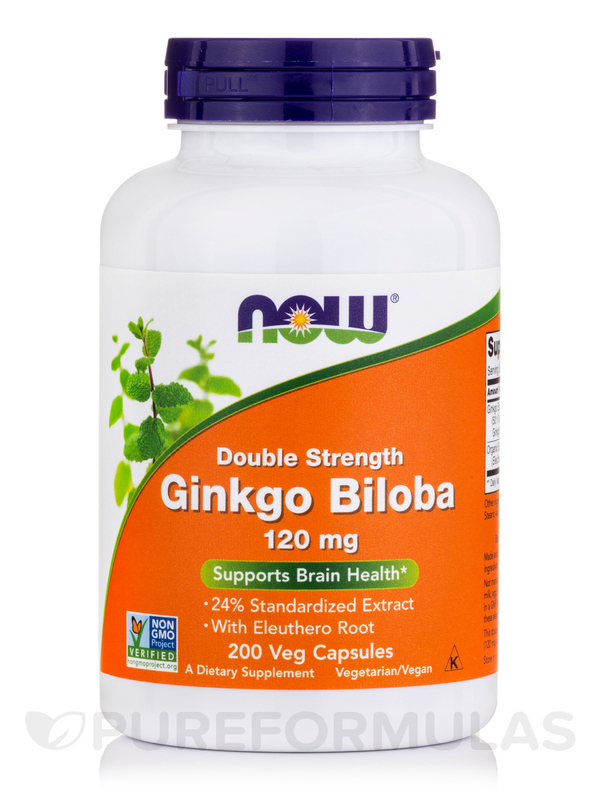 NOW® Ginkgo Biloba is grown and extracted under the highest quality standards and is standardized to min. 24% Ginkgoflavonglycosides and min. 6% Terpene Lactones‚ including Ginkgolide B‚ the most significant fraction‚ and Ginkgolides A‚ C and Bilobalide. 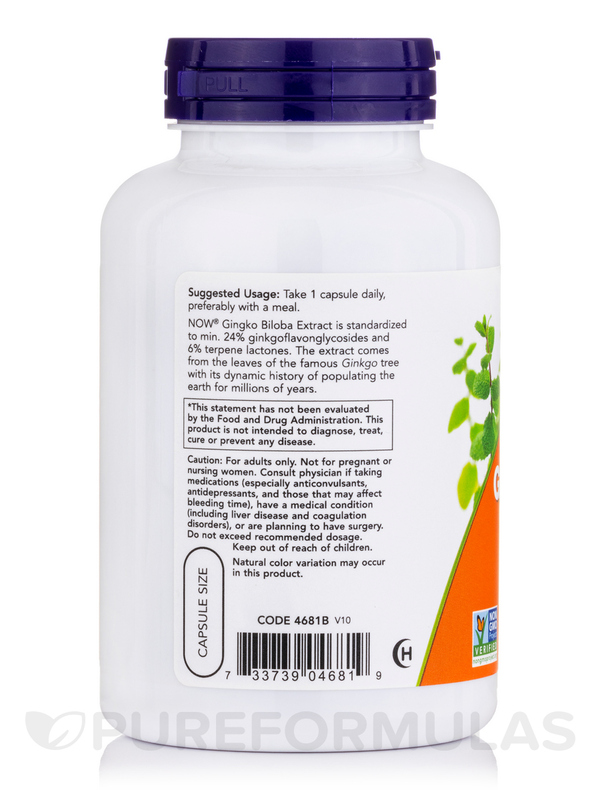 Other Ingredients: Cellulose (capsule) and Stearic Acid (vegetable source). Contains no: sugar‚ salt‚ starch‚ yeast‚ wheat‚ gluten‚ corn‚ soy‚ milk‚ egg‚ shellfish or preservatives. Vegetarian/Vegan Product. As a dietary supplement‚ take 1 Vcap® daily‚ preferably with meals. 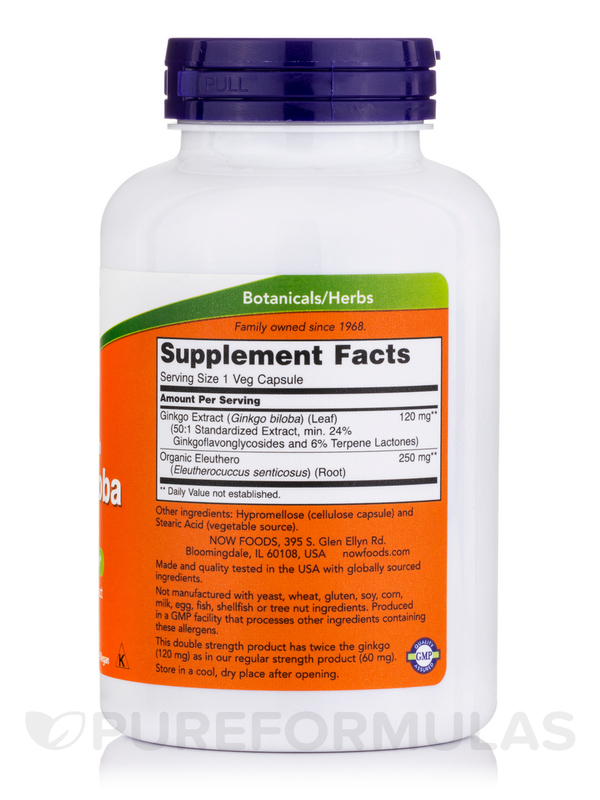 Consider taking this product in combination with NOW® Phosphatidyl Serine‚ Soy Lecithin and DMAE. Consult physician before consumption if you are currently taking anti-coagulant or MAO inhibiting drugs. Do Not Eat Freshness Packet. Keep in Bottle. The large amount of ginkgo. I like that there is plenty to last till the next order. Nothing to say about disliking these pills. 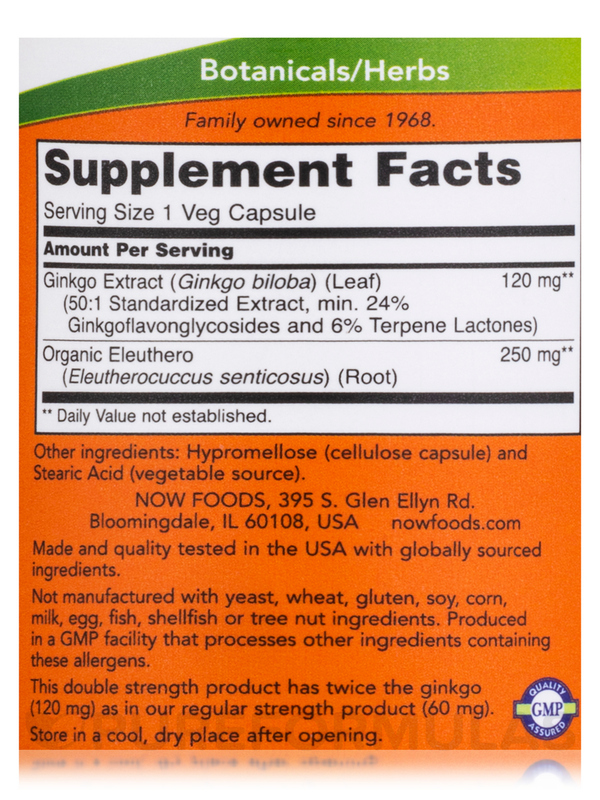 Is this Now ginkgo product free of corn and corn derivatives?